Over past many years, Banco has been regularly investing in advanced manufacturing technologies. 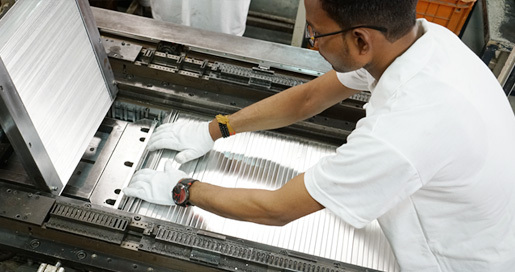 Our plants are equipped to manufacture all critical processes and components in-house. This gives us a unique competitive advantage in the market as manufacturing setup can be adapted to market requirements. This also enables us to respond quickly to market dynamics and shorten delivery lead time to our customers. Controlled manufacturing processes and use of advance quality management systems ensure that every Banco product is made to the highest standards of quality. Banco is equipped with high-speed tube mills which can produce both the welded and the folded section type tubes of high quality. The use of specially customized material grades together with the sophisticated manufacturing controls ensures production of high-quality tubes which meet stringent performance expectations of our customers. Banco offers a variety of fin designs together with high precision to ensure maximum heat transfer. 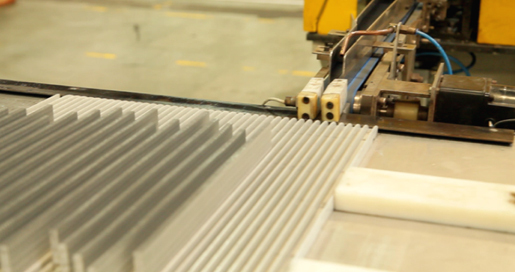 Our state-of-the-art fin manufacturing equipment caters to the wide variety of fin requirements. We also use Jodon Fin Angle measuring machine for precision control of fin geometry. Depending on operating conditions in various applications such as on-road, off-road, agricultural, locomotive and other industrial applications Banco offers customized and high precision fins for maximum performance. Banco has invested in technologically advanced semi-automatic core builders that take care of high, medium and low volume demands of our customers. Core building modules are designed to offer flexible setup and controlled manufacturing. These modules can produce a wide range of radiator cores for use in applications as diverse as passenger cars, agricultural tractors, industrial power generation, earth-moving and rail locomotive industry. 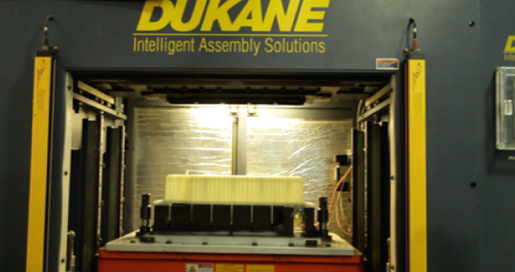 Brazing is one of the most critical processes in radiator manufacturing. 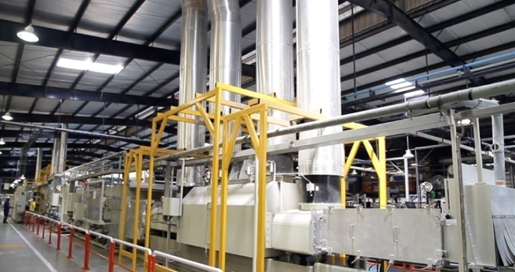 Banco has installed state-of-the-art continuous and batch process type Nocolok CAB Furnaces with a capacity of over 3 million units per year with a maximum single core size of 2.1m x 1.2m x .25m. This supports us to produce a wide range of core sizes both in small and in large volumes. 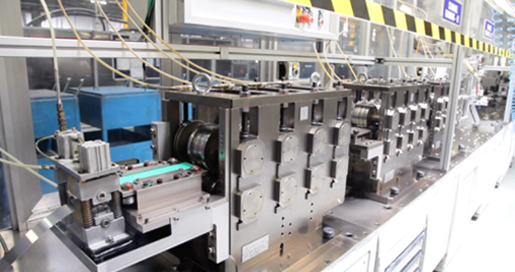 As a cooling system provider, we have also invested in advanced injection molding equipment, high-frequency vibration welding machines and in blow molding machines for the production of wide range of high-quality plastic tanks. 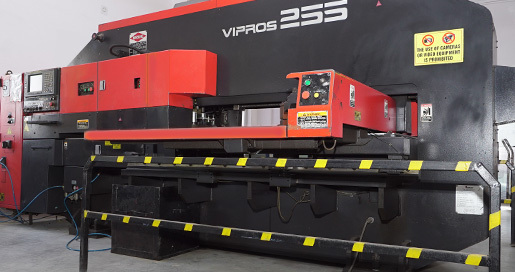 Our fabrication and engineering shop is equipped with wide range of power and hydraulic presses, CNC turret presses, CNC bending, welding stations and efficient powder coating facilities. Engineering shop is capable of designing & manufacturing of high-quality jigs and fixtures. As a leading supplier of bespoke engine cooling systems, Banco offers a range of product options to customers as per their requirement. Cooling systems typically involve final assembly of different modules and components such as Radiator core, Charge air coolers, and different designs of the top and bottom tanks, fan shroud, and other components of the cooling system structure. 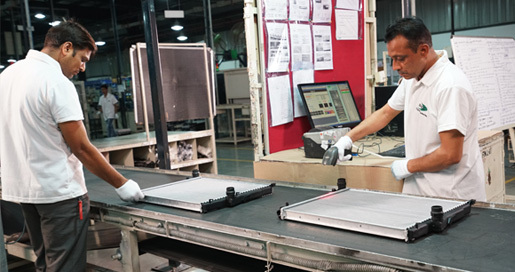 Banco’s assembly lines are equipped with advanced equipment and are operated by skilled operators. This ensures efficient and controlled assembly of cooling systems with each finished product inspected and 100% tested for leakages according to demanding internal Banco quality standards. 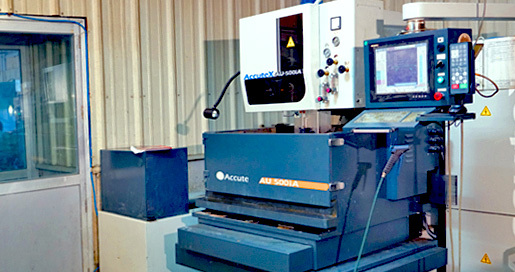 Our modern tool room facility is equipped with a range of advanced equipment such as CNC wire cut EDMs, VMCs. Fully calibrated laboratory including high precision CMM ensures right quality at every stage of the process.